Froch defeats Kessler in Rematch, Rematch with Ward Next? Three-time Super-Middleweight world champion Carl Froch has fought many of the best fighters of his era. After emerging on the world stage by scoring a thrilling come from behind victory in his fight with Jermain Taylor in 2009, it is hard to argue that Carl Froch has not become not only one of the stars of the sport of Boxing but also, one of the most exciting fighters to watch. Froch’s willingness to stand and engage with his opponents has resulted in some of the Super-Middleweight division’s more memorable recent battles. Following his win over Jermain Taylor, Froch continued to impress, taking part in the Super-Six World Boxing Classic Super-Middleweight Tournament which saw the best of the Super-Middleweight division square off to determine supremacy at 168lbs. After defeating previously unbeaten Super-Middleweight contender Andre Dirrell in his first fight in the competition, Froch faced former Super-Middleweight world champion Mikkel Kessler in 2010 in Herning, Denmark. From a stylistic standpoint many observers, this one included felt that this could be one of the more exciting fights of the tournament due to both fighters being offensive minded and willingness to engage. Froch and Kessler did not disappoint… For twelve rounds the two fighters engaged each other in the center of the ring in an exciting give and take battle where both fighters had their moments. It was a closely fought contest where Kessler seemed to get the benefit of the doubt on the official scorecards due in large part to his ability to get off first with his punches to earn a unanimous decision. Although official scores of 117-111, 116-112, and 115-113 may give the impression to some that the fight was lopsided in Kessler’s favor, the fight round by round was indeed close and sometimes it simply boils down to what fighter did more that determines who wins. Sometimes it is as simple as who can get their punches off first. Although he suffered the first loss of his career to Kessler there was no disputing Carl Froch stands among the elite of the Super-Middleweight division. Froch rebounded from the loss to emerge as a tournament finalist after defeating former world champions Arthur Abraham and Glen Johnson. Froch would lose to tournament winner Andre Ward in the finals. With the win, Ward became the number one fighter in the Super-Middleweight division and one of the best pound for pound fighters in the world. As he did following his loss to Kessler, Froch was able to rebound again by dominating previously unbeaten longtime IBF Super-Middleweight world champion Lucian Bute. Prior to that fight some underestimated Froch to the degree that he was labeled as an underdog. Froch responded by knocking Bute out in brutal fashion in five rounds to win his third world title. Following a third round knockout of longtime contender Yusaf Mack last November in the first defense of his IBF world title, Froch was set to defend his crown against Mikkel Kessler in a highly anticipated rematch. Going into this fight it was reasonable to assume that the action in the fight would closely resemble the combat Froch and Kessler were able to produce in their first encounter. The question going into this fight in my mind centered more on Kessler than it did on Froch. After all Kessler was forced to withdraw from the Super-Six following his victory over Froch due to an eye injury. Although Kessler had looked impressive since his return to the ring in 2011, scoring three knockout wins over Mehdi Bouadia, Allan Green, and earning interim status in the World Boxing Association’s (WBA) Super-Middleweight ratings by stopping Brian Magee in his last fight, an argument could be made that Kessler had not faced a fighter of the caliber of Froch since his return. When the fight got underway one thing that stood out was Froch began the fight at a quicker pace than he did in the first bout working behind a steady jab that he would use as the focal point of his offense. It was also noticeable that Kessler was a bit more defensive than he has been in previous fights. Much like the first encounter both fighters were willing to stand in the center of the ring and engage. It was Froch however who was able to land combinations in spurts off his jab and although Kessler was effective periodically with his work to Forch’s body and was able to land flush left hooks and right hands to the head throughout the fight, Froch’s greater activity was the difference in this fight. Much like the first fight, the rematch was an exciting give and take battle for all twelve rounds this time however Froch would emerge victorious by unanimous decision with the three judges rendering scores that looked almost identical to the scores of the first fight 116-112,115-113, and 118-110. Although the scores may appear lopsided it in important to remember that Professional Boxing is scored round by round and as was the case in the first fight many of the rounds were close. In fights where there is a lot of back and forth action round after round and there aren’t knockdowns to separate the two fighters it boils down to not only who gets their punches off first but also, who was the effective aggressor and who forced the action. In this fight Carl Froch threw his jab constantly and was able to win three out of the first four rounds in the eyes of this observer based on his ability to land combinations in small bursts off his jab but also controlling the distance and the tempo of the fight. Although Mikkel Kessler had more than his share of moments in this fight he simply could not nullify Froch’s offensive output enough to turn the momentum in his favor. This observer scored this fight 116-112 in favor of Froch based on his ring generalship and ability to be able to just do a little more in some very close rounds. When covering a fight I often try as best as I possibly can to give analysis by often going into detail about several rounds or some of the more significant moments throughout a fight. Following this fight however I commented on social media that in some ways it seemed like the two fighters Froch and Kessler reversed roles from the first fight. This fight impressed me as in some ways a continuation of the first fight with the only difference being that this time it was Froch who was the more active of the two. A closely fought give and take battle, both fighters having their moments, one fighter just doing a little more than the other. With the win Froch successfully defended his IBF Super-Middleweight world title for the second time but also earned a claim in the WBA’s Super-Middleweight ratings. The current WBA champion Andre Ward was given “Super” status by the sanctioning body due to his holding both the WBA and WBC Super-Middleweight titles coming out of the Super-Six tournament. Ward however was stripped of his WBC title due to being inactive due to a shoulder injury. 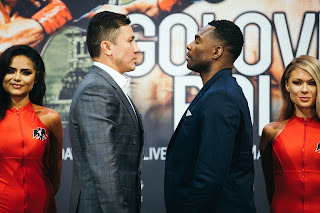 Although Ward still holds the WBA title, it now presents a situation in the Super-Middleweight division which is similar to that of a situation in the WBA’s Jr. Middleweight ratings at 154lbs. Saul Alvarez who currently holds the World Boxing Council (WBC) title also holds a claim to the WBA version of the World Jr. Middleweight championship due to defeating the previously undefeated Austin Trout who held Interim/Regular champion status in the WBA’s ratings. As well Floyd Mayweather holds “Super” status despite not being a unified champion in the Jr. Middleweight division. Curiously confusing, isn’t it? Although some may feel tempted to criticize the WBA for at the minimum giving boxing fans a very difficult and confusing puzzle to solve in terms of who is world champion and who isn’t, for the purposes of this subject this observer will simply say that at the minimum the situation in the 168lb. Super-Middleweight division in regard to the World Boxing Association now presents a scenario of a potential rematch of the Super-Six finals between Andre Ward and Carl Froch. Despite the opinion of some observers, this one included that Andre Ward won the fight decisively; it was still close and competitive when you view the fight round by round. Even though some may not see the idea of a rematch between the two as a viable option, this observer respectfully disagrees. Carl Froch has rebounded since he fought Ward in 2011 knocking out two of his three opponents since the loss to Ward, Simply put there is little disputing that Andre Ward is the number one fighter in the Super-Middleweight division however an argument should be made that if Ward is number one, Carl Froch is certainly 1-A after his knockout win of Lucian Bute and off of his latest performance against Mikkel Kessler. In the opinion of this observer Carl Froch is deserving of another opportunity to face Andre Ward. There are however several possibilities in both the 168lb. Super-Middleweight division and the 175lb. Light-Heavyweight division that could be open to Froch if a rematch with Ward is not in his immediate future. Potential fights with the likes of WBO Super-Middleweight champion Robert Stieglitz, WBO Light-Heavyweight champion Nathan Cleverly, and IBF Light-Heavyweight champion Bernard Hopkins each would garner significant attention and would each present an interesting challenge for Froch in addition to what would likely be big money purses for all involved. The best option however if a rematch with Andre Ward is not made in the immediate future just might be a third fight with Mikkel Kessler. Although Kessler stated prior to his rematch with Froch that he would retire if he lost the fight, it is the opinion of this observer that Boxing fans worldwide would welcome a third fight between the two with open arms. Two fighters who leave everything in the ring and have always been entertaining to watch, each with a win against each other in two similarly fought battles certainly deserves an encore. If a third fight between Froch and Kessler does take place it will certainly belong in the discussion of Boxing’s greatest trilogies along with the likes of Ali-Frazier, Zale-Graziano, Holyfield-Bowe, and, Gatti-Ward. The first two bouts between Froch and Kessler have lived up to every expectation. This observer sees no reason why a third fight would be any different. The Jr. Welterweight division has long been one of Boxing’s most talent rich divisions. Such great fighters as Julio Cesar Chavez Sr. Pernell Whitaker, Oscar De La Hoya, Arturo Gatti, Micky Ward, Floyd Mayweather and many others at one time or another plied their craft in 140lb. weight class. Presently the division is dominated by two world champions the undefeated unified WBC/WBA World Jr. Welterweight champion Danny Garcia and the IBF world champion Lamont Peterson. Although it is tempting to assume that it is only a matter of time before Garcia and Peterson square off to determine Jr. Welterweight supremacy, it is important to remember that the division is deep when it comes to top contenders each looking for their chance to knock either champion off his pedestal. One such contender is the undefeated Dierry Jean. Jean may be one of the division’s dark horses. Despite compiling a record of 24-0, with 16 Knockouts, an argument of some could be made that Jean had not been put in with fighters who could give him a test. In covering his last bout against Juan Jesus Rivera this observer stated that he respectfully disagreed. Prior Jean’s fight with Rivera, he was tested by some grizzled veterans such as Francisco Lorenzo, Lanardo Tyner, and Ivan Cano all of whom were able to extend Jean into the late rounds where he had never previously been and in the case of Lorenzo and Tyner were able to go the distance. Of course it can be all too tempting sometimes when talking about an undefeated fighter on the cusp of a world title shot to say that he hasn’t faced top level opposition. This observer believes that Jean is ready to face fighters who are considered to be the elite of the division. The final test for Jean who had previously captured both the North American Boxing Association (NABA) and the North American Boxing Federation (NABF) Jr. Welterweight titles and was ranked number three by the International Boxing Federation (IBF) came when he faced fellow contender Cleotis Pendarvis on May 10th in Miami, Oklahoma. Pendarvis, who entered the fight ranked number seven by the IBF was riding a six bout winning streak entering the fight with a record of 17-3-2, with 6 Knockouts. The fight began with a tactical feeling out process where both fighters were able to have their moments. Pendarvis seemed to be able to give Jean some difficulty in the early going by not being a stationary target with his ability to give angles and turn Jean. Pendarvis was able to somewhat nullify Jean’s right hand which Jean was able to use so effectively in his second round knockout win over Juan Jesus Rivera in February of this year. Pendarvis was able to connect with a beautifully timed short right hand that briefly knocked Jean off balance midway through the second round however Jean was not hurt. Pendarvis clearly showed that he was there to fight. The first two rounds were very close and you could easily see an argument for either fighter having won those rounds but this observer scored it one round a piece. Despite suffering a nasty cut over the right eye as the result of an accidental clash of heads in round three, Jean was able to win that round in my opinion based on being slightly more active. It was however in the fourth round where all questions as to who might be ahead in this fight became academic. Jean brought matters to a sudden and dramatic conclusion in the fourth round when he connected with a vicious overhand right that landed flush on Pendarvis’ face sending him down to the canvas. Pendarvis gamely staggered to his feet and nearly went through the ropes. Although technically the fight was allowed to briefly continue which saw Jean unloading a barrage of offense on Pendarvis who was unable to fire back, for all intents and purposes this fight ended with a one punch knockout. In some ways Jean’s knockout of Pendarvis reminded this observer of Iran Barkley’s World Middleweight championship winning knockout of the legendary Thomas Hearns in 1988. Similar only because of the sudden and devastating way in which the fight was brought to an end after Barkley floored Hearns with two vicious right hands in a fight that was named the upset of the year by Ring Magazine. It was also similar due to the fight being briefly allowed to continue as Hearns was able to beat the count before a brief barrage from Barkley sent Hearns through the ropes forcing Referee Richard Steele to stop the fight. Although I do not want to be too critical of the stoppage in this fight I do believe that Referee Gary Ritter should have stopped the fight when Pendarvis nearly stumbled through the ropes. It is certainly understandable that a referee would want to give a fighter the benefit of doubt and give that fighter a chance to recover but it was all academic and Pendarvis simply could not defend himself after the knockdown. The bout which determined who would be the mandatory challenger for Lamont Peterson’s IBF Jr. Welterweight crown now moves Dierry Jean into position to fight for a world championship. Jean however faces a bit of a wait as Lamont Peterson will face Lucas Matthysee on May 18th in what is being billed as a bout fought at a catch weight of 141lbs. where Peterson’s title will not be on the line. Although it is plausible to assume that Lamont Peterson will still be the IBF champion no matter the outcome of that fight, there is always the possibility of something delaying Jean’s title shot whether it be injuries or, elements of the “Business” of Boxing which may in one way or another delay things. It is also worth noting that prior to his fight with Juan Luis Rivera that Jean was rated number one in the world by the World Boxing Council (WBC) Jean however instead of being rated as the would be top contender in two of the five recognized governing bodies at 140 lbs. mysteriously lost his number one rating by the WBC and in fact removed from their ratings in favor of their naming former Jr. Welterweight world champion Amir Khan as their top contender behind only Lucas Mattysee who holds interim status and of course the champion Danny Garcia. Although it is questionable as to why Jean lost his number one rating seeing as he has not lost a fight and has remained active, the more relevant question might be should Dierry Jean take a fight while waiting for his title shot against Lamont Peterson and risk his number one ranking? Only Dierry Jean can answer that question but I think it is clear that off his last two performances, two devastating knockouts, that we may be witnessing the emergence of what may be another superstar of the Jr. Welterweight division. For now at least he has earned his opportunity to face the elite of the division. We want to let our readers know that a feature on Floyd Mayweather is currently in the works. Many have a difference of opinion regarding Floyd Mayweather. We would like to know your opinion? Floyd Mayweather Jr. What’s your opinion?